Dr. Jeffrey P. Gold, chancellor and executive vice president for biosciences and health affairs, and dean of the College of Medicine and Life Sciences, has accepted a job offer from the University of Nebraska to serve as chancellor of the institution’s medical center. In a letter sent to faculty, staff and students on Health Science Campus, Gold thanked the UT community. “After nearly a decade in Toledo, I was recently presented with a new challenge and opportunity at the University of Nebraska,” Gold wrote. “After several visits and meetings with physicians, staff and students and the community there, and after discussions with my family and those colleagues and friends I value so much at UT and around the nation, I have decided to continue to pursue a new stage in my career in Omaha. “I want to thank you all for the work you do to improve the human condition on a daily basis. Higher education and health care are not easy businesses to be in, and policy and demographic trends are unlikely to make things easier any time soon. But they are also undeniably some of the most personally fulfilling careers, and it is because of all of you that my time in Toledo has been so personally rich and rewarding,” he wrote. In a message to the UT Board of Trustees, UT President Lloyd Jacobs described Gold as a transformational leader and pointed specifically to the work Gold led integrating the University following the 2006 merger. “For the past nine years, Jeff has provided UT transformational leadership and much of the close integration and collaboration between faculty, staff and students on the Health Science Campus with their counterparts on the Main Campus has been thanks to the efforts of him and his team,” Jacobs wrote. Jacobs wrote that UT’s colleges of Medicine and Life Sciences, Nursing, Pharmacy and Pharmaceutical Sciences, and Health Sciences have never been stronger and noted that UTMC’s elevated position in the community and across the nation is thanks to Gold’s leadership. Jacobs said plans regarding filling the leadership roles vacated by Gold will take place during the next several weeks and will be announced when finalized. The Toledo women’s basketball program has earned the top Mid-American Conference ranking and a No. 90 national grouping among recruiting classes for the 2014-15 early signing period, according to the All-Star Girls Basketball Report. The Rockets inked six players — Jay-Ann Bravo-Harriott (London, England), Mikaela Boyd (Hillside, Ill.), Lindsay Dorr (Rogers, Minn.), Nancy Kessler (St. Catherines, Ontario), Michaela Rassmussen (Victoria, Minn.) and Jada Woody (Canton, Mich.) — during the early signing period. UT also will welcome junior Branae Harris (Marion, Ohio), a transfer from the University of Michigan, to the mix as well. Harris is sitting out the 2013-14 campaign per NCAA rules. “For Toledo, the key was the addition of Jay Ann,” said Bret McCormick, analyst with the All-Star Girls Basketball Report. “That gives them seven strong recruits. Brenae (Harris) is also a shooting guard who transferred from Michigan, and then they signed four players who are over six-feet-tall. The next-highest MAC schools in the report are Eastern Michigan at No. 122 and Miami at No. 124, respectively. Now in its 18th year, the All-Star Girls Report is the leader in women’s basketball scouting. The University of Toledo women’s basketball team partnered with the Padua Center to mentor children as part of the BE A ROCKET Program. 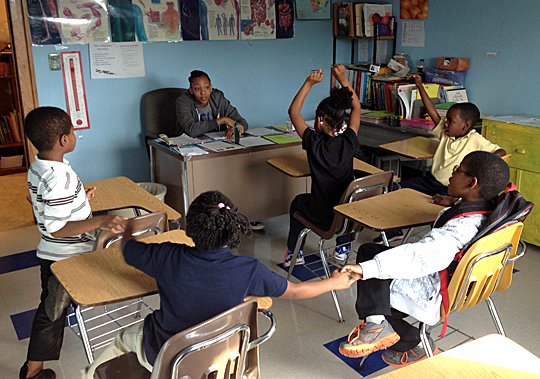 Junior guard Brenae Harris worked with children at the Padua Center this fall. BE A ROCKET is an acronym for topics the players shared with the students at the center: bullying, education, attitude, reading, opportunity, character, knowledge, exercise and teamwork. The center offers an after-school tutoring program for students in kindergarten through eighth grade every Tuesday and Thursday from 3 to 4 p.m., and the BE A ROCKET Program with Cullop and players from the team followed from 4 to 5 p.m. from Sept. 17 through Oct. 10. The players mentored the children and reinforced the tutoring they received. Terry Crosby, the education director at the Padua Center, approached the coach to see if the players would be willing to get involved. “Our players were more than happy to help,” Cullop said. “We have been receiving some great feedback from the partnership, so we are glad to hear the kids responded positively to this,” Cullop added. 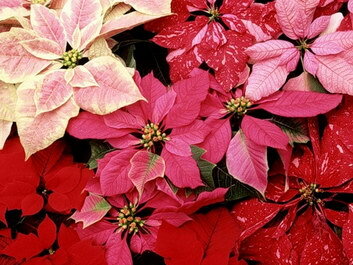 Add a classy touch to the holiday season: Order a poinsettia from the Satellites Auxiliary. The poinsettias range in price from $5 to $17 and are available in a variety of colors, including red, white, pink, and blue with gold. The plants vary in size from 4.5 inches to 8.5 inches and by the number of blooms. Fresh wreaths measuring 14 inches also are available for $11. Order forms must be received by Friday, Nov. 29. Fax to 419.530.3206 or email lynn.brand@utoledo.edu. Orders will be available for pickup on Health Science Campus Tuesday, Dec. 3, from 11 a.m. to 3 p.m. in the Four Seasons Bistro. The pickup date for Main Campus is Thursday, Dec. 5, from 11 a.m. to 3 p.m. in the Rocket Hall Lobby. For pickup, all poinsettias will be foiled and sleeved with care tags. Payment options for the poinsettias include checks (payable to Satellites of UT Medical Center), cash, departmental requisition for Main Campus and payroll deduction for Health Science Campus. Payment is due at the time of pickup. For more information on the annual poinsettia sale, contact Lynn Brand, president of the Satellites, at lynn.brand@utoledo.edu. At a reception last month, The University of Toledo College of Medicine recognized 12 faculty members for their outstanding work. 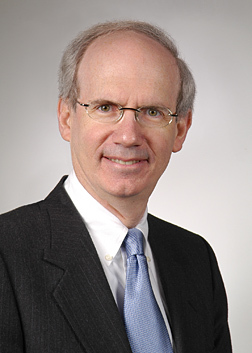 “The College of Medicine has great faculty and these awards honor individuals for their dedication and commitment to the mission and goals of the College of Medicine and the University,” said Dr. Jeffrey P. Gold, chancellor, executive vice president for biosciences and health affairs, and dean of the College of Medicine and Life Sciences. Dr. Steven Selman, professor and chair of the Department of Urology, was honored with the Career Achievement Award for his outstanding work as part of the college for more than 30 years. His dedication as a clinician, scientist and educator, made him the perfect candidate for the award, Gold said. Also recognized were winners of the Mentoring Award: Dr. Patricia Hogue, associate professor and chair of the Department of Physician Assistant Studies, and Dr. David Pearson, assistant professor in the Department of Radiation Oncology. Research awards were given to Dr. Kathryn Eisenmann, assistant professor in the Department of Biochemistry and Cancer Biology, who received the New Investigator Award, and Dr. John Turner Jr., professor in the Department of Physiology and Pharmacology, who received the Sustained Research Award. • Dr. Christopher Lynn, associate professor in the Department of Medicine, received his MD from the Medical College of Ohio. He completed his residency at the UT Medical Center, formerly the Medical College of Ohio Hospital, and began working as a professor in the medical college upon completion. • Dr. William D. Harvey, clinical assistant professor in the Department of Surgery, is a volunteer UT faculty member from Bryan, Ohio. • Dr. Doddipatla S. Rao, clinical assistant professor in the Department of Surgery, is from Bryan, Ohio. Both Rao and Harvey practice at Parkview Physicians Group in Bryan and volunteer at UT. • Dr. Cynthia Smas, associate professor in the Department of Biochemistry and Cancer Biology, started working at UT in 2000 and is a volunteer faculty member at Bowling Green State University. • Dr. Nicolas Chiaia, professor in the Department of Neurosciences, started working at UT in 1988 when it was the Medical College of Ohio. • Dr. Viviana P. Ferreira, assistant professor in the Department of Medical Microbiology and Immunology, has worked at UT since 2009 with a focus on inflammation in cardiovascular diseases. • Dr. Krishe Menezes, assistant professor in the Department of Neurology, has been working at UT since 2010 with a focus in movement and neurological disorders. The University of Toledo Department of Music will present an evening of enchantment as the UT Opera Ensemble performs its annual gala, “An Evening Fit for a Princess,” Sunday, Dec. 1, at 7 p.m. in Doermann Theater. The concert will feature a mix of arias, show tunes, and songs by Rossini as well as Rogers and Hammerstein. Dr. Denise Ritter Bernardini, UT assistant professor of music and director of the UT Opera Ensemble, will produce the gala. Pianists will include Dr. Michael Boyd, UT professor of music; Gladys Rudolph, UT accompanist; Nathanael Leonard, UT graduate student in music; and Grace Mauk, Alan Border and Wesley Forney, UT undergraduates majoring in music. Tickets are $5 in advance and can be purchased online at utoledo.edu/boxoffice, by calling 419.530.2375, or by visiting the Center for Performing Arts Box Office. The night of the gala, tickets will be $10 at the door and $5 for seniors and children 12 and younger. Derrick Hamilton has always had a passion for poetry, but he mostly kept it to himself. That changed in 2010 when he attended a function at the Rock Church and sat in on a sermon being led by the Rev. Michael Shakespeare. “He had said that there were writers among the congregation and that we needed to share our gift,” said Hamilton, who has worked for six years as a custodian at The University of Toledo Medical Center. It was this moment that changed Hamilton’s attitude toward his poetry, and he decided to self-publish his first book, My Life and Times That Happen to Rhyme. “I was inspired to write the book because a collection I started in high school began to grow to a large quantity, and I wanted to get them out to the world,” he said. Hamilton worked alongside his friend LaToya Williams and his pastor, the Rev. 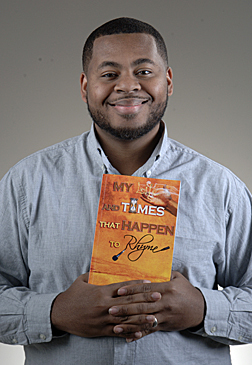 Richard Brown III, to turn his dream of a poetry book into a reality. The book is split into four sections: My Life, My Times, My Happenings and My Rhymes. Each details Hamilton’s life through various poems he’s written and music lyrics he’s penned. The poems touch upon Hamilton’s struggle to become a man, as well as his marriage. There also are poems inspired by the stories of others. Hamilton’s poetry collection is available via Amazon and is sold through Barnes & Noble online stores as an ebook and paperback. He is working on his second work, a children’s book titled Mystery Gifts. 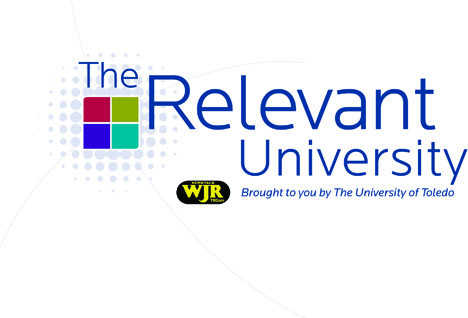 Tune in to “The Relevant University” Tuesday, Nov. 26 at 7 p.m. on AM 760 WJR. This month, Lawrence J. Burns, UT vice president for external affairs, explores unique and innovative partnerships that help increase access to higher education. Rich Weinkauf, vice president of instruction at Schoolcraft College, talks about the recently debuted Schoolcraft to U program. • Dan Steinbock, dean of The University of Toledo College of Law, announces a new initiative to make law degrees more affordable for Michiganders. • Bill McCreary, executive director of the new UT One World Schoolhouse, reveals plans for unique technology and programs in that initiative. • And Mike Hansen, president of the Michigan Community College Association, shares their advocacy efforts for the state’s 28 public community colleges. The University and Detroit’s WJR Radio produce the monthly, hourlong program that explores the critical role higher education plays in our world. “We Were Here” will be shown Monday, Dec. 2, at 6 p.m. in the Center for the Visual Arts Haigh Auditorium on UT’s Toledo Museum of Art Campus. 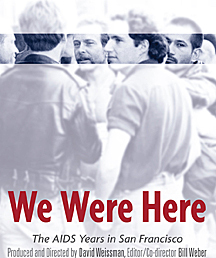 The documentary by David Weissman and Bill Weber takes a reflective look at the arrival and impact of AIDS in San Francisco in the early 1980s. The Toledo AV Club and the Launch Pad Cooperative are partnering with the UT Medical Center’s Ryan White Program to present the film in honor of World AIDS Day, which is Dec. 1. The free, public screening of the 90-minute documentary will be followed by a discussion led by members of the Ryan White Program who are long-term survivors of the disease. Frank X. Lauterbur, Toledo, UT football coach and athletic director from 1963 to 1970, died Nov. 20 at age 88. Lauterbur, who had a 48-32-2 record at UT, began the famous 35-0 Rocket streak from 1969 to 1971. His teams won Mid-American Conference titles in 1967, 1969 and 1970. The 1969 and 1970 teams were nationally ranked in the top 20 of Wire Service Polls and won Tangerine Bowl Championships. 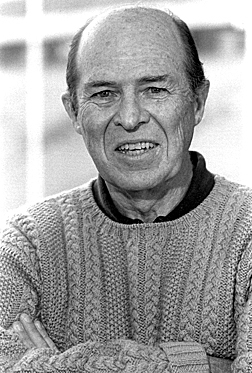 In both of those seasons and in 1967, Lauterbur was named MAC Coach of the Year and Ohio College Coach of the Year. A total of 55 players recruited by Lauterbur were either first- or second-team All-MAC; four of those players won National All-America Honors: Tom Beutler, Curtis Johnson, Chuck Ealey and Mel Long, who are all in the University’s Varsity T Hall of Fame. Lauterbur left UT following the 1970 season to become the head coach at the University of Iowa. He also coached in the NFL with the Baltimore Colts, the Los Angeles Rams and the Seattle Seahawks. He was inducted into the Varsity T Hall of Fame in 1983 and the MAC Hall of Fame in 1990. While at the University, Lauterbur also served as a board member and later president of the UT Federal Credit Union. Visitation will take place Sunday, Nov. 24, from 4 to 9 p.m. at Walker Funeral Home, 5155 W. Sylvania Ave. The funeral will start with prayers Monday, Nov. 25, at 10:30 a.m. at the funeral home followed by mass at 11 a.m. at Little Flower Catholic Church, 5522 Dorr St.
Memorial contributions can be made to the Lauterbur Scholarship Fund through The University of Toledo Foundation, P.O. Box 586, Toledo, OH 43697.